Mifflin School. 3rd Street between Brown & Poplar. 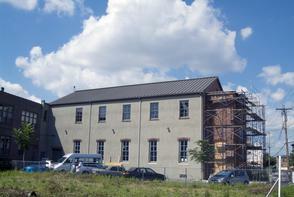 Side view of building, with scaffolding and construction work on addition.